Kristine Harper has written about comfort zone breaking aesthetic experiences as a human need. Within visual semiotics and design rhetorics this notion is referred to as “Defamiliarization” and it´s counter phenomena “Familiarization”. This idea, framed in the notion of “Flow” (Mihály Csíkszentmihályi), forms a theory that is useful when analyzing design and style. This theory is one of the fundamental ideas behind DRM (Design rhetoric methodology). There are several reasons for someone to become deeply emotionally involved in designed objects. A straightforward explanation of the functionality of aesthetic design is to use the concept of “imprint”. There are multiple types of imprinting but they seem all to be somehow connected to learning the characteristics of some stimulus, thus a learning mechanism “imprinted” onto the subject . A radical learning experience, such as when a baby learns who its mother and father are, or when someone learns something new for the very first time can create an imprint effect that remain for the rest of our lives. Not only does this model explain the value of nostalgia and cultural preferences, but it also tells us that if we can orchestrate a learning situation, we can create great value. Long lasting value. In high stress or anxious situations, when encountering frustrating technology or insecureness the task is to reduce stress. A good example is the design of hospitals and hospital equipment. 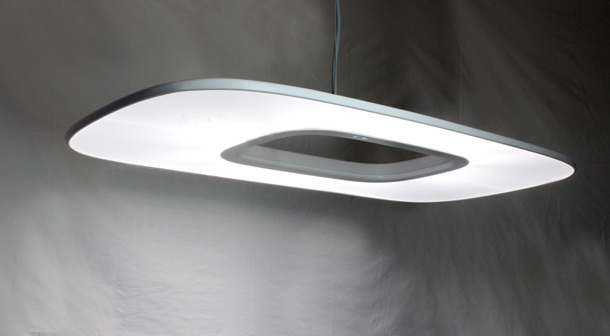 Formal designed the LED luminaire Halo for D-tec, a producer of lighting for dentists. The stress reducing issue was the leading idea behind the form language of the luminaire. 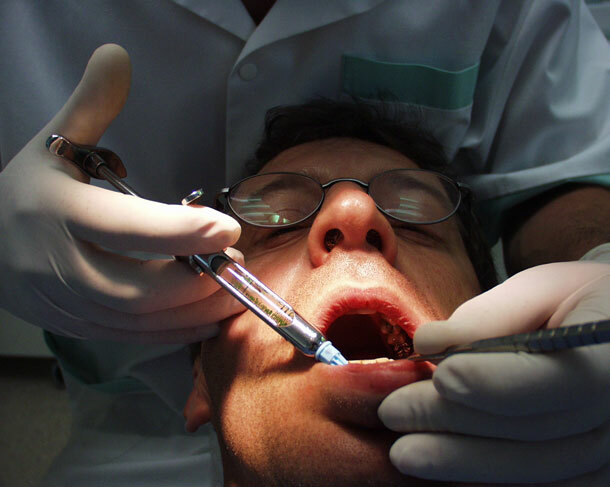 Familiarizion by stress reducing programmable colored light effects and the soft forms of the Halo that encapsulate the technical solutions is effective in a potentially high-anxiety situation such as at the dentist. 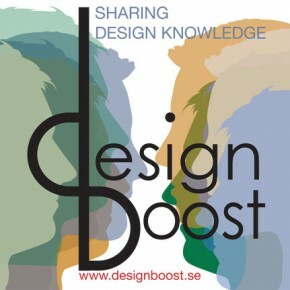 The psychology of Design attraction and DRM can be used as a sophisticated tool for design direction. Another stress situation is sometimes the insecureness wether a product is “appropriate” within its category. This is a common issue when we create ground breaking innovations, or when the brand behind the product isn´t trustworthy enough. People may think it´s fun but they don´t invest because they don´t trust it. A category is a “Label” that we group certain products, activities, people etc within in order to simplify how to relate to the world. Familiarization is the tool here for anchoring the new product to something that is relevant to the consumer. Familiarization is effective for creating an imprint when the subject is experiencing an overwhelming challenge. 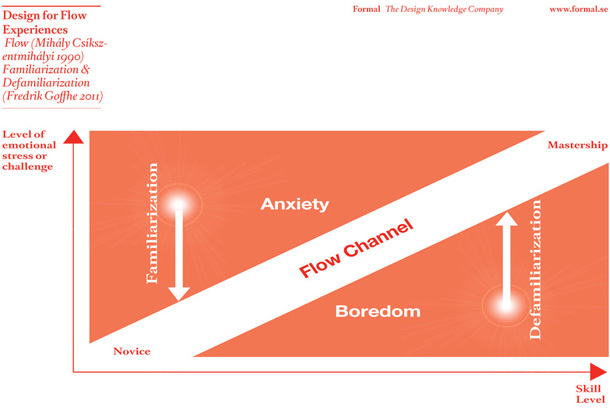 By reducing the perceived challenge, the subject is immediately brought down to the “Flow Channel” of learning. This reduction, if radical enough, could possibly have an imprint effect. The more anxiety in the subjects initial experience there is, the more effective the imprint. If people were frustrated with complex looking mobile phones with tricky functionality, the more imprinted they became when a clean-looking, tech-stress reducing Iphone entered the scene.